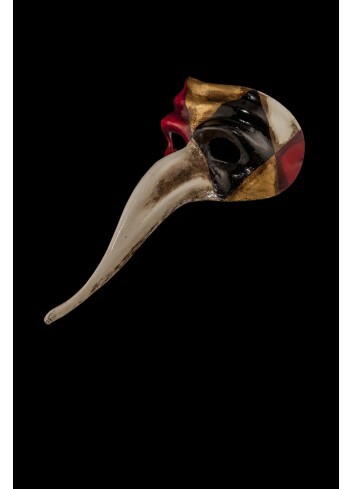 The typical venetian hooked nose masks are entirely handmade in Venice by the famous Serenissima craftsmen. The masks are suitable for both men and women and are easily wearable thanks to the strings with which every model is provided. Plague Doctor With Feathers Ready To Ship! Authentic venetian mask in papier mache. Handcrafted according to the original Venice carnival tradition. Manifactured in Venice by the famous venetian masters. Each item is provided with ribbons and certificate of authenticity. Black Leather Plague Doctor... Ready To Ship! 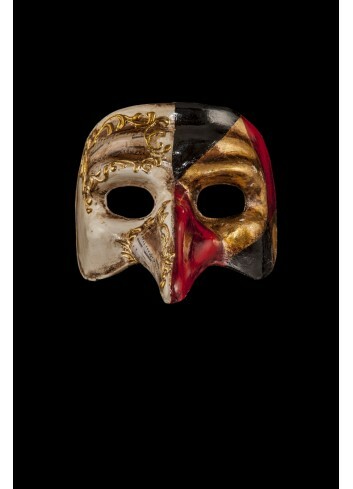 Musical Zanni authentic venetian mask in papier mache handcrafted according to the original Venice carnival tradition. Manufactured in Venice by the famous venetian masters. Each item is provided with certificate of authenticity.